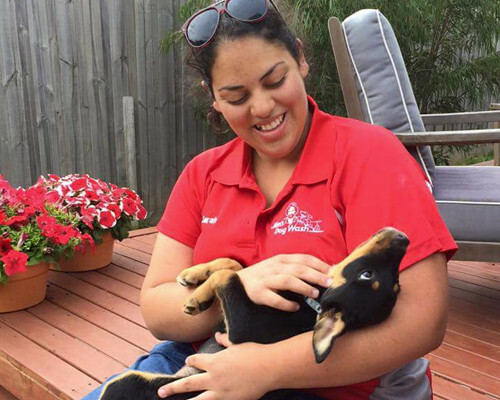 My name is Sarah and animal welfare and behaviour is my passion. I have a bachelor of science degree majoring in zoology with honours. Becoming a dog groomer is one of the best choices I’ve ever made. Making pets not only look good but feel good too! Jim’s dog wash offers nothing but the best and if you’re not happy I’m not happy. Looking after your pets coat regularly can improve the life of your pets. But I don’t just groom dogs I also groom cats, long haired cats sometimes need a little assistance in maintaining their coat in trouble areas like around the belly and arm pits. Whatever your pet needs we are sure to help out and significantly improve your pets life!